Taking on a cottage renovation is a huge commitment. It can be very easy to be won over by the romantic vision of relaxing on your cosy couch in front of the open fire under a neat, golden thatch. However, the reality of renovation is that it is a long hard road that requires patience and care. 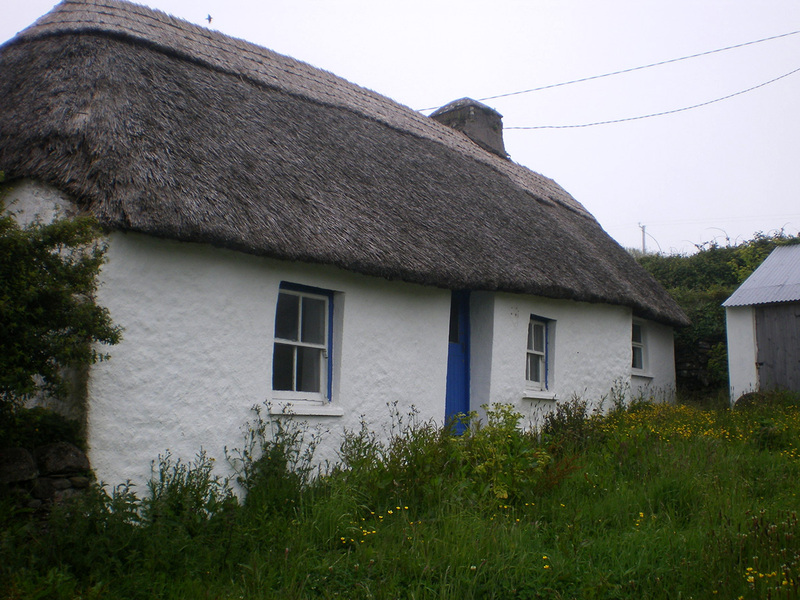 Irish Cottages have stood for hundreds of years on non-existent foundations and built from natural materials from the surrounding lands. Trying to force them to adhere to modern standards of design and living can cause havoc. Building material incompatibility, extensions that strain foundations and issues with damp due to loss of breathability are some of the pitfalls that are experienced. As with all building projects, I highly recommend having a vision or plan so you know what you want to achieve but most importantly – get a good professional on your side – architect or engineer who has experience of and enthusiasm for the protection of Irish Cottages. You will meet a lot of professionals who will want to knock the building and replace it with four straight walls and you make feel like this too at various stages of the build but keep your vision and plan in mind – the pain, like childbirth, it always worth it in the end. Probably most important to remember is that by undertaking the renovation of a cottage you are not simply building a home, you are also becoming a custodian of Irish heritage and culture. By preserving a vital thread of our vernacular architecture and history you are investing in both your future and our countries past and community. Below are articles that I have published over the past few years but the plan for this page is to include more renovation case studies, interviews with trades people and to resurrect the directory of services as soon as possible. If you are starting on a renovation project, I would love to hear your story and even to follow along – do get in contact with me.